This adorable boys 1st birthday shirt is simply too cute. You choose either a gray/white raglan or a navy/white raglan. 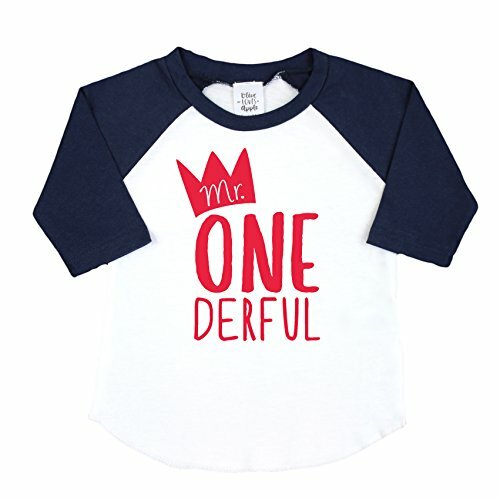 Mr. One-derful is professionally pressed to the shirt in soft flocked heat transfer. Soft Print - The Mr. One-Derful is done in a soft, high quality flocked heat transfer vinyl that feels like soft, fuzzy cotton. It's ridiculously high quality.